· The nuclear fuel chain, especially uranium enrichment and plutonium reprocessing, provide possibilities for countries with these technologies to also produce nuclear weapons, creating additional threats to current and future generations. · Finally, the financial prospects of uranium mining in the intermediate and long term future seem questionable at best, considering the existing downtrend in utilization of nuclear energy. Subsequently Governments may seriously consider ceasing the exploration of uranium. · Along the chain of production, regular use and waste management of nuclear fuel for energy generation as well as after nuclear power plant accidents huge amounts of radioactive isotopes are released into the biosphere. Severe health effects as cancer and non-cancer diseases have been demonstrated in populations exposed. In particular resulting genetic changes impact on the health of current and future generations. Modern studies on low dose ionizing radiation (LDIR) corroborate the Linear No Threshold [LNT] concept. Scientifically based understanding calls for acceptance of risk estimations at doses as low as 1 mSv. ICRP-recommendations must be revised as they are outdated one decade after their effective date. · Any nuclear disaster has cross border effects affecting population of several countries, and would be an infringement of international law requiring states to ensure that activities within their jurisdiction or control do not cause damage to the environment of other states. · Nuclear power plants, in operation and after their dismantlement, generate huge amounts of radioactive waste, which is dangerous for thousands of years, even longer than any known civilization has lasted. The question of safe long-term storage of radioactive waste over centuries has not been answered so far. · We affirm that nuclear deterrence is immoral, illegal and of doubtful value for security. The high risks of nuclear weapons being used in current confliicts such as in North East Asia, in other times of tension, and until nuclear weapons are eliminated provides an imperative for nuclear abolition. · The financial and human investments in the nuclear arms race are deviating required resources from human, social and environmental needs. This includes promoting education, providing basic universal health care, protecting the climate and implementing the sustainable development goals. · Use of uranium for armor plating and piercing projectiles release depleted uranium into the environment, where it will be deposited for thousands of years, causing risks to combatants and non-combatants alike. · International human rights law protects, in particular, the right to life, the right not to be subject to inhuman or degrading treatment, the right to the highest standard of health and to a healthy environment, the right to an adequate standard of living, including the right to food and water, as well as the freedom of expression and the right to seek and receive information. Moreover, special instruments for particularly vulnerable groups, such as women, children, indigenous peoples or persons with disabilities, have been adopted and concluded. 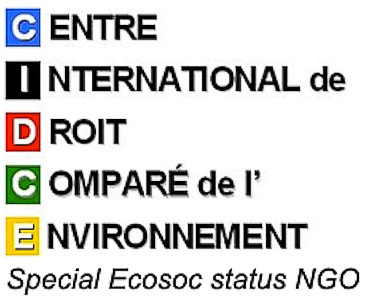 · International humanitarian law: This body of law prohibits the use of weapons or methods of warfare that would indiscriminately impact on civilians, cause unnecessary suffering to combatants, violate neutral territories, be dis-proportionate to the provocation or cause severe, long-term or irreversible damage to the environment. · The law of peace and security: This body of law, expressed primarily through the UN Charter, prohibits the threat or use of force except in legitimate self defence. · Law protecting the environment and future generations: This body of law, expressed in a number of international treaties, provides a responsibility to ensure a sustainable environment for current and future generations, and to prohibit activities which are known to seriously threaten this. There is also a legal responsibility to prevent and protect the public from exposure to harm, when scientific investigation has found a plausible risk. The production of nuclear energy violates human rights law and international law protecting the environment and future generations due to the impacts of nuclear energy on human health and the environment as outlined above. The production, threat and use of nuclear weapons violate all four bodies of law outlined above. As such, we agree with the conclusion of the International Court of Justice that ‘the destructive impact of nuclear weapons cannot be contained in time or space’ and with the affirmation of the Treaty on the Prohibition of Nuclear Weapons that ‘any use of nuclear weapons would be contrary to the rules of international law applicable in armed conflict, and in particular the principles and rules of international humanitarian law.’ More-over, it would constitute an ecocide. · We welcome the conclusions of the International Peoples’ Tribunal on Nuclear Weapons and the Destruction of Human Civilisation. held on July 7-9, 2016, that convicted (in absentia) the leaders of the nuclear-armed States (and one of the allied States as a test case) for war crimes, crimes against humanity, crimes against peace, crimes against future generations and crimes of threatening, planning and preparing acts which would constitute ecocide, which is understood as causing serious damage to, or destruction, of an ecosystem or ecosystems, or of causing serious, long-term or irreversible damage to the global commons. · We welcome the fact that the majority of countries neither produce nuclear energy nor possess nuclear weapons, and we call on all other countries to join them. · We welcome the establishment of the International Renewable Energy Agency, which provides assistance to countries to develop renewable energies, and we highlight it’s 2016 Report REthinking Energy: Renewable Energy and Climate Change which demonstrates the possibilities to completely replace fossil fuels by safe renewable energies, without relying on nuclear energy, by 2030. · We commend the 184 countries who have joined the Non-Proliferation Treaty as non-nuclear States and the 122 countries who voted in favour of the Treaty on the Prohibition of Nuclear Weapons which also prohibits the threat or use of nuclear weapons. We call on all countries to agree to the prohibition and elimination of nuclear weapons and to adopt, at the 2018 UN High Level Conference on Disarmament, a framework to implement this. · We call on all countries utilizing nuclear energy to announce a program for phasing out their use of nuclear energy and replacing it with renewable energy sources. 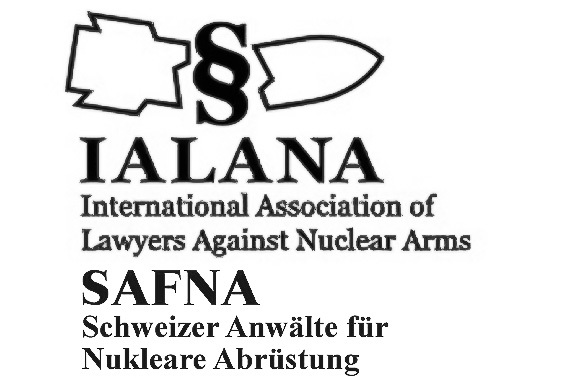 · Finally, as doctors, lawyers, scientists and nuclear experts from 27 countries we consider it as our moral duty to highlight the facts regarding nuclear energy and weapons, and promote a safe, sustainable and peaceful future for humanity and our planet consistent with human rights and the rights of future generations. 1. All countries at the United Nations shall promote human rights, the rights of future generations, and the legal requirements to phase out nuclear energy and nuclear weapons. We support the initiatives that Switzerland has taken to phase out nuclear energy domestically and to prohibit nuclear weapons globally, and we encourage Switzerland to take further efforts at the United Nations to prohibit all aspects of the nuclear energy and weapons industries. 2. The Linear No Threshold [LNT] concept and collective dose-calculations allow extrapolations of health risks in large populations exposed to low doses of ionizing radiation. Current scientifically based understanding calls for acceptance of risk estimations at doses as low as 1 mSv and therefore asks for a revision of the ICRP-recommendations, which are outdated one decade after their effective date. 3. Violations of human rights by ionizing radiation sources must be documented epidemiologically. In this regard medical standards for compensation of victims have to be established. Companies / people found to violate the rights of the concerned workers must be held responsible by national and international courts. Everyone has the right to seek and receive information. Victims must be compensated. 4. The employment of nuclear weapons, as well as indiscriminate damage to health and to the environment resulting from other nuclear activities, should be included as a crime against humanity under the Rome Statute of the International Criminal Court. We also call for amendment of the Rome Statute to include the crime of ecocide. 5. Young people and students need to be alerted to the relation between « Nuclear energy / nuclear weapons – Violations of human rights – Rights of future generations. Their human rights are endangered and therefore they need to become active and encouraged to have their current and future interests respected. Law and medical faculties are encouraged to consider teaching on human rights in their corresponding curricula, in general but also in the mentioned context of the ‘Nuclear fuel chain’, and this also in view of the rights of future generations. 7. The participants of the Symposium ‘Human Rights, Future Generations and Crimes in the Nuclear Age’ are ready to share these demands and communicate them to decision makers in other countries.